It’s hard not to appreciate what the International Documentary Film Festival Amsterdam, otherwise known as IDFA, has accomplished during the decades since it was co-founded by Ally Derks, who is rightly revered in the documentary film realm. But Ally Derks has moved on, and IDFA is changing its outlook. This year, the festival dropped its The Female Gaze program and is, apparently, no longer focusing on ongoing issues of gender parity faced by the international community of women filmmakers. In One of Us, filmmakers Heidi Ewing and Rachel Grady investigate the unique lifestyle of Brooklyn’s Hassidic community. Presented in Ewing and Grady’s signature style, the highly dramatic stories of two men and a woman who want to leave the community reveal a complex and arcane culture that exists right in our midst, but is largely unknown to outsiders. Ewing and Grady talk about making One of Us and changes in documentary filmmaking during the 15-year span of their partnership. The 28th Human Rights Watch Film Festival (June 9-18, 2017) presents topical and provocative feature documentaries that showcase courageous resilience in challenging times. 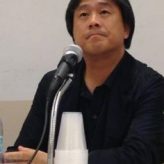 In an era of global advances by far-right forces into the political mainstream, assaults on the free press, and the rise of “citizen journalism,” festival organizers hope that the films in this year’s program can serve as inspiration and motivation for the audience, from seasoned activists to those searching for a role in local and global movements. Ten of the 21 programmed documentary feature films are directed by women. 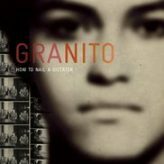 Granito: How to Nail A Dictator chronicles efforts to bring Guatemalan dictator and military commander José Efraín Ríos Montt to trial in an international court of law for genocide in that country. Director Pamela Yates and Producer Paco de Onis not only cover case preparation by prosecutors based in Spain, also provides extremely important evidence in the form of archival footage Yates shot of military actions when she was embedded with the guerrillas fighting against Rios Montt’s rule for her previous film, When the Mountains Tremble. Filmmaker Dawn Porter’s Trapped, the abortion rights film that won Sundance Film Festival 2016’s U.S. Documentary Special Jury Award for Social Impact Filmmaking, is set to open theatrically on March 4, with subsequent broadcast dates in June on Independent Lens. 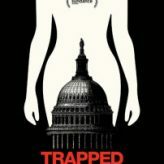 The film’s nationwide release, timed for social impact, comes just as the U.S. Supreme Court takes on Whole Woman’s Health v. Hellerstedt, the landmark case that will determine the constitutionality of “TRAP” (Targeted Regulation of Abortion Providers) laws. 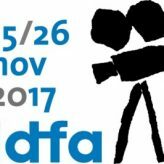 IDFA, the International Documentary Film Festival Amsterdam, is the world’s largest and most influential documentaries-only festival. 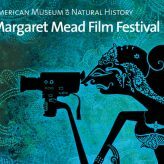 Founded in 1983, by festival director Ally Derks, it is unique for its international film program featuring a wide variety of documentary genres with political and socially conscious themes. The festival presents many European and world premieres each year, and is a major annual gathering place for filmmakers, producers, distributors and students to meet and network. 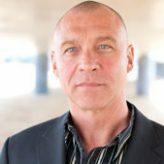 Søren Steen Poulsen has been appointed managing director of Nordisk Panorama, the premiere festival and marketplace for documentaries and shorts produced and/or co-produced in the Scandinavian countries of Iceland, Denmark, Finland, Norway and Sweden. Poulsen joins the Nordisk Panorama team on May 1, replacing Katrine Kiilgaard, who leaves the organization at the end of March, after having run it successfully for 15 years. It should come as no surprise to anyone whose been paying attention — even marginally — to 2014′s crop of films and the film industry’s record of production that there is no such thing as gender equality of opportunity in Hollywood, or in any other segment of the moviemaking business. IDFA is the documentary realm’s pre-eminent cutting edge film festival, acclaimed for presenting trend-setting ‘creative documentaries,’ with ‘creative’ roughly defined as expressing the filmmaker’s point of view in a creative and cinematic manner– one which may challenge or push the envelope on established forms in nonfiction filmmaking. Filmmaker Kathryn Bigelow has directed her enormous talents to address a huge issue. Bigelow has made an effective and affecting three-minute PSA to support the cause of saving elephants in Sub-Sahan Africa, where poachers are slaughtering entire herds of the wonderful creatures for their ivory tusks — although international trade in ivory is universally illegal. Entitled Last Days, the PSA premieres at New York Film Festival on September 27 at Elinor Bunin Munroe Film Center at NYC’s Lincoln Center. 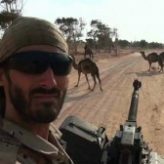 While chronicling the exploits of Matthew VanDyke, an American who gained notoriety when he joined rebel forces in Libya and was captured and imprisoned, filmmaker Marshall Curry deftly targets the subject of how movies and the media influence personality, aspirations and social behavior in the children who are exposed to them. though Curry’s lens, VanDyke becomes a fascinating Everyman. Curry is right on target in his handling of VanDyke’s story and the film is a bull’s eye. 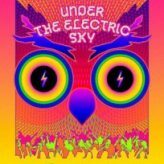 For music documentary fans, especially those who are devoted to electronic dance music, Under The Electric Sky is the equivalent of a contemporary Woodstock — with the added attraction of providing a fully immersive and utterly spectacular 3D experience. And then, too, there’s the opportunity for die hard devotees to host their own theatrical screenings through an innovative ‘crowdsourcing’ distribution model. 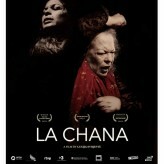 The film is well worth a look. So, too, is the distribution model. 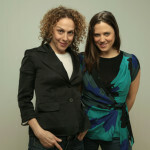 Jerusalem Film Festival Awards to Female Directors! The Festival, taking place from July 10 to 20, 2014,, was one of the few Israeli cultural events held during that time frame that wasn’t cancelled due to concerns about security. With Israel under attack, and air raid sirens sounding frequently, festival organizers opened each screening and festival event with instructions to intrepid audiences about where to find the nearest bomb shelter. In several instances, alarms sent viewers to the secured areas, but for the most part, the program played as planned. Hey Documentary Filmmakers: Work with this list of documentary film festivals scheduled throughout the year. Pick and choose which best suit your film and which will provide you with the best, most and right sort of exposure. Nordisk Psnorma 2013 presented a program of 91 films, including documentary features and shorts and narrative shorts, with 16 films in competition for best Nordic documentaty, 15 films in competition for best Nordic short and 15 films in competition for best New Nordic Voice.The 24th edition of the annual festival took place from September 20 to 24 in various venues throughout the city of Malmo, Sweden.